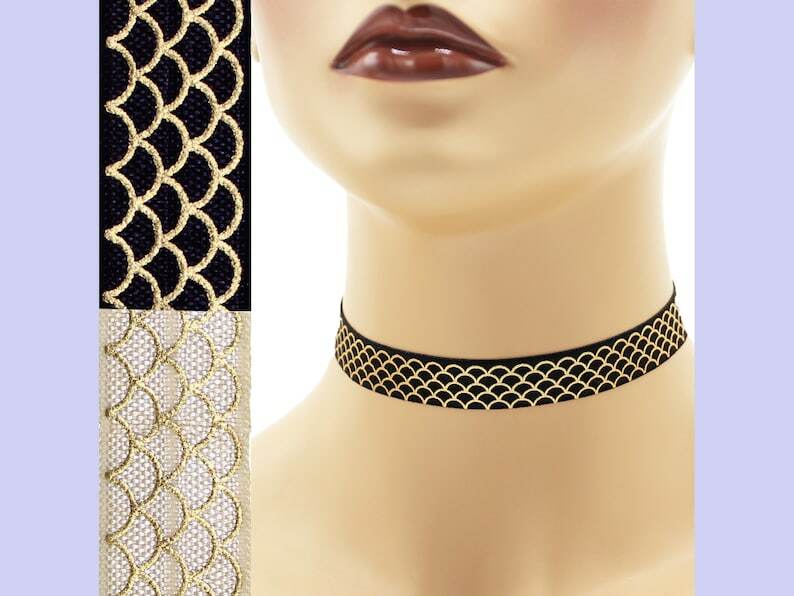 Choker can be worn with the rounded side of the design up or down. * When worn rounded-side-down, design also resembles water, waves, etc. * Optional: To specify your preferred orientation and clasp side (right or left), please include a message during checkout.